CAROL SINGING – How about you? And, if by chance – THE PUNCH BROTHERS – a progressive bluegrass band comes knocking at your door – offer them the nutmeg snack and more. 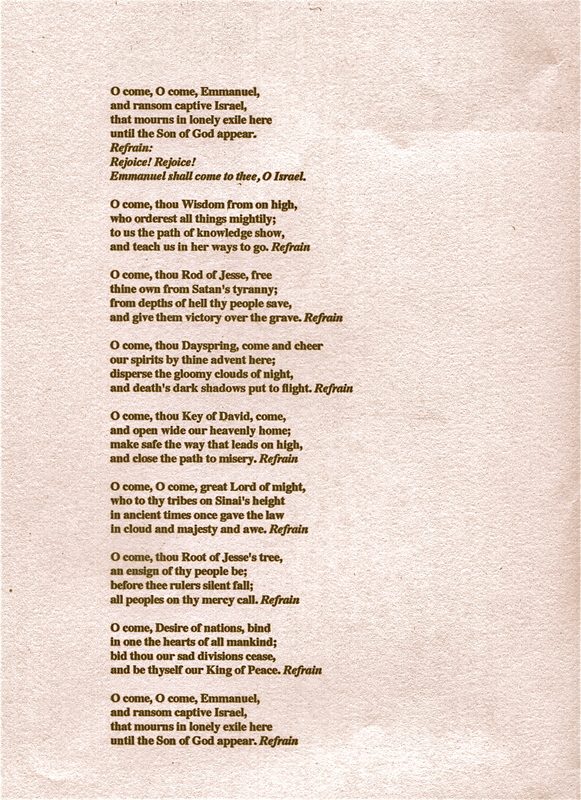 This version of O Come, O Come, Emmanuel, (a 12th century hymn, translated from Latin to English by John M. Neale in 1851) is a spirited and earthy rendition – and worthy of all seasonal hype. This entry was posted in Essential Dish, Uncategorized and tagged HOLIDAY Carols, O Come, O Come Emmanuel, The Punch Brothers, Tis the season to be merry. Bookmark the permalink.